On the inflation front is good news for the consumer. The government cut in petrol and diesel price by Rs 2 per liter. The new rate applied midnight at tomorrow. Continued declined Crude Oil price, then government decided the give benefit to the people. Although the rupee has week, but no benefit provided to people from falling Crude oil. On that month this is the second cut in price. On the starting of this month government decrease 91 pese in from petrol and 84 pese in from diesel. Since August the 8th cut in petrol price, while diesel price have been reduced for the 4th time. 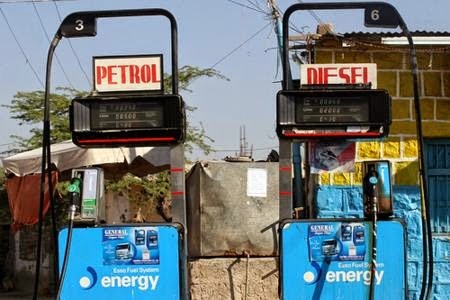 Overall from August the petrol price cut up to 12 rupee 27 pese, while diesel price cut up to 8 rupee 46 pese.